I don't think Jez hangs out on forums as much as he used to and probably hasn't seen our posts yet. I do miss his input in the hobby. 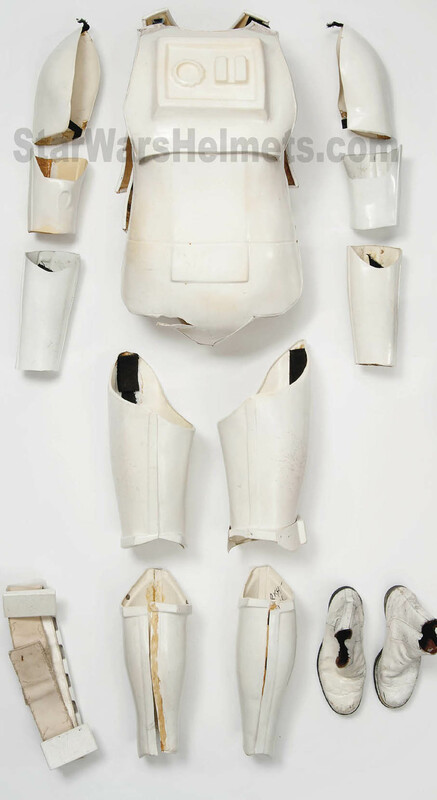 Hi, I've had the go ahead from Christies so here are some shots of the ANH/ESB armour due to go into the memorabilia auction on 23rd Nov. I addition I really am not interested in having another forum-war about bits of plastic as I have other pressing things. I respect peoples views and if you don't believe that ESB Mk2 suits exist then thats fine. However if you're not able to detail exactly why you think they dont exist then please dont bother posting. There's no one in this hobby whose opinion I trust more than physical evidence, saying "I know thats not correct but I cant say why" just makes you look dumb! A couple of months ago Christies kindly invited us down to its Kensington showroom to help them identify this slightly unusual suit. We say "unusual" since though some parts are clearly Star Wars A New Hope (1977), but not all are and those were certainly not Return of the Jedi (1983) either (although they look extremely similar). Hence the suit is a kind of mish-mash of both armour styles. 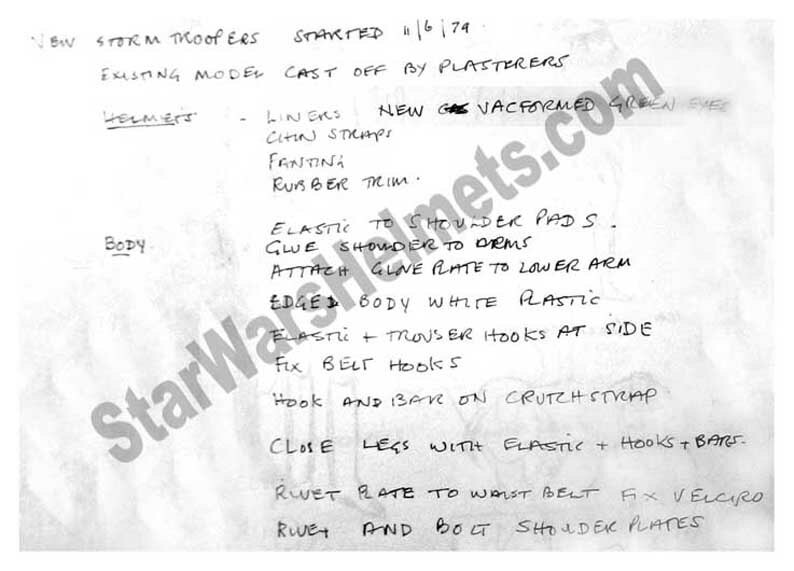 Parts including the belt, one forearm, and one bicep were clearly ANH, however the other parts including Chest, Back, Ab front and rear and leg sections were similar (but not exactly the same) to the style used in RotJ, yet we believe pre-date that movie by 3 years. 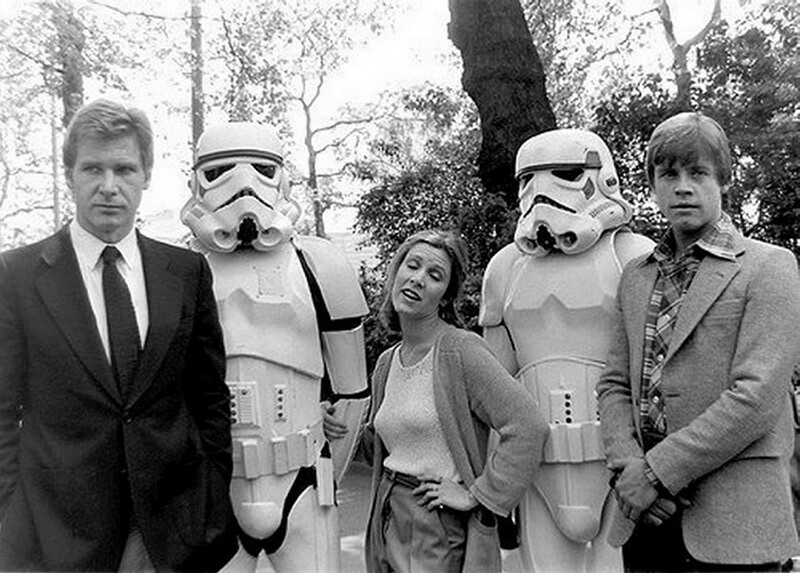 It didn't take long for us to realise that this was the illusive "Mk2 ESB" suit seen in the Publicity photos taken on Empire Day waaaaaay back on May 20th 1980 (the Trooper on the right in the photo below). 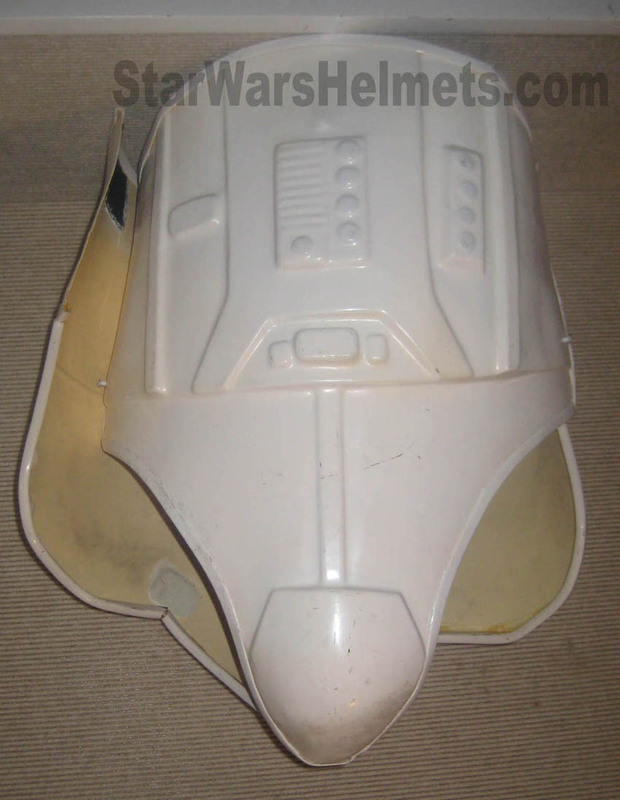 Essentially this was a set made up from two different sources including left-over parts from ANH combined with newly cast parts made specifically for ESB by John Mollo's costuming department. As an interesting side note, we also managed to identify the other trooper (next to Harrison Ford) but will talk about that at another time. However we're pretty sure that the suit in Christies auction is the one standing next to Mark Hamill, for example the cut lines and seams of the Ab section appearing to match up extremely well. To be 100% sure we'd need better reference material but in our view it looks very promising. By the way, I'm sorry to say we've not been able to locate the helmet that went with this armour. So we know that some parts were made - we just don't know which marts and the quantity. Again going back to John Mollo's notes we know that 2-3 days were spent (budgeted) working on this and the approx cost of the ABS. Next a shot of the Ab section, which appears to have been resprayed (at least in part) at some time. In addition, note the contrasting colour of the Haircell ABS's outside and inside surfaces. 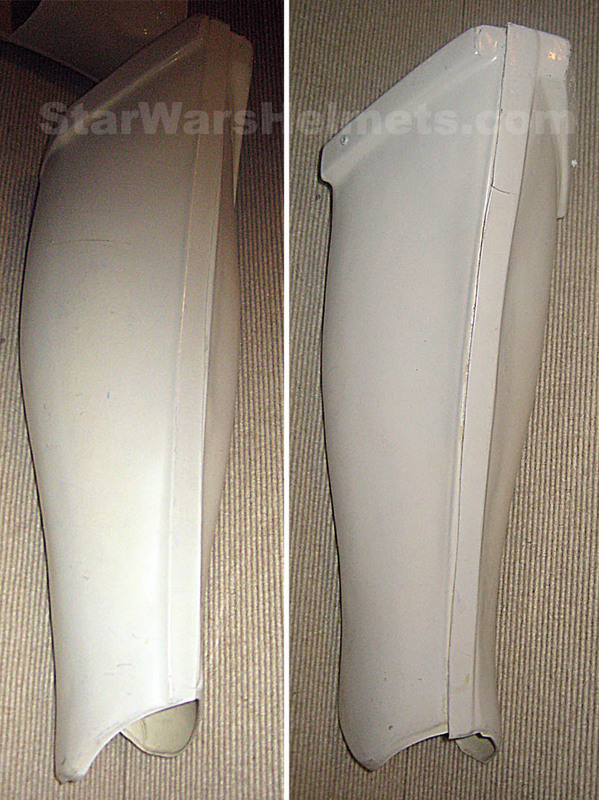 The texture is much different too from the ABS used in ANH which is pretty-much the same both sides. 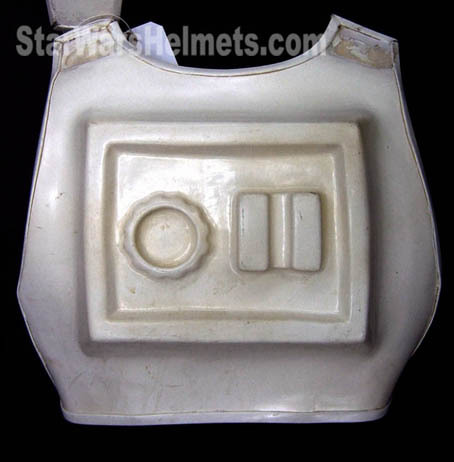 However for these armour pieces the outside is smooth but the inside quite rough - again a feature of Haircell. 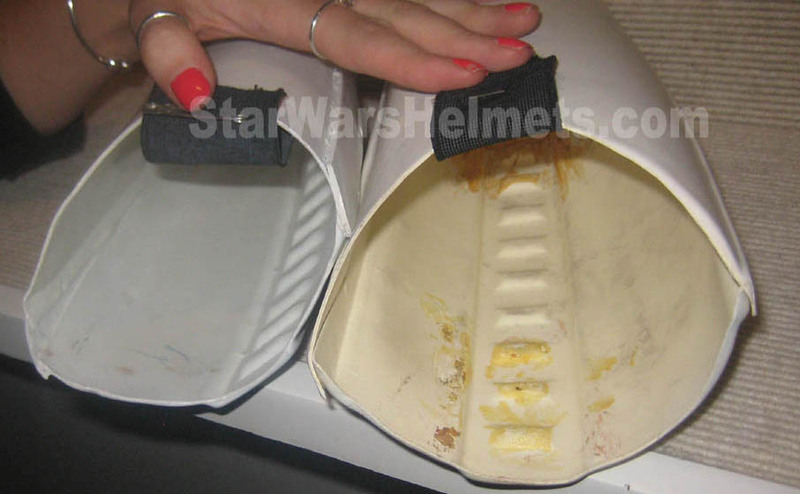 Below a photo of the ANH belt. Its made from all white ABS (front and back) , bolted onto a canvas belt section with the boxes attached with white elastic strips. So in summary we have a wonderful piece of Star Wars history. 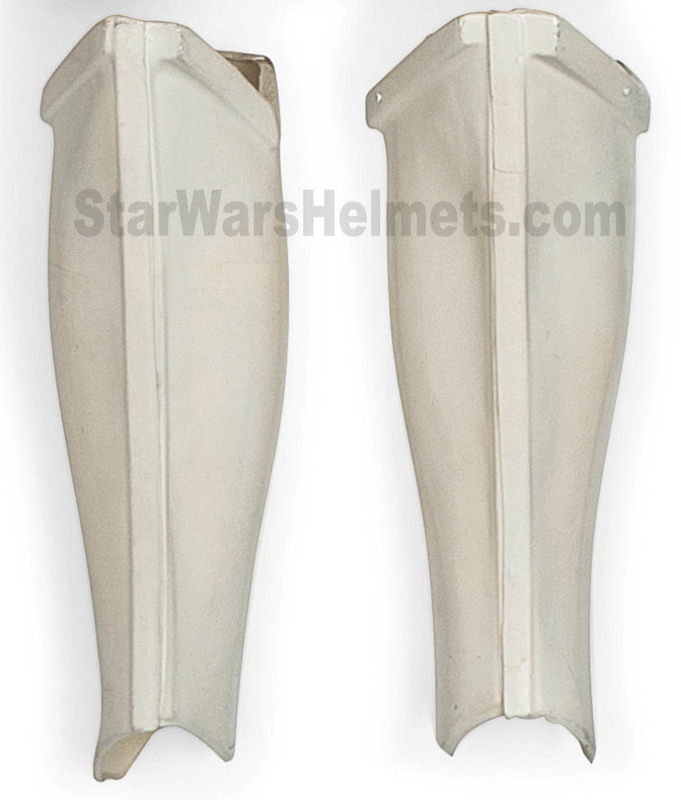 Parts of the armour are production made (and most likely screen used) ANH Stormtrooper parts. 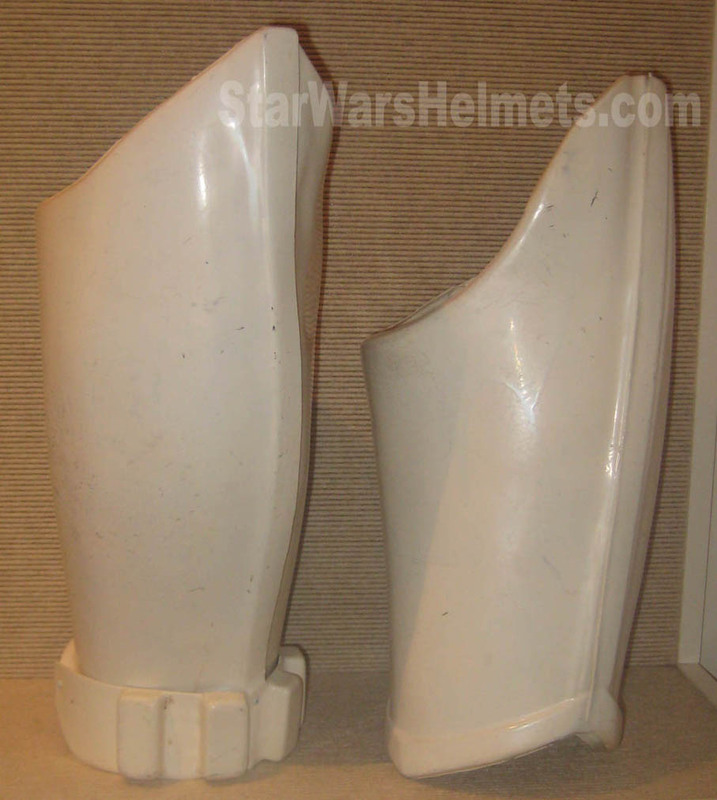 Other parts appear to us to be production-made Empire Strikes Back parts (ESB Mk 2 ), which could be screen-used - however we just don't have necessary behind the scenes photos from the Bespin escape sequence to be able to verify this. 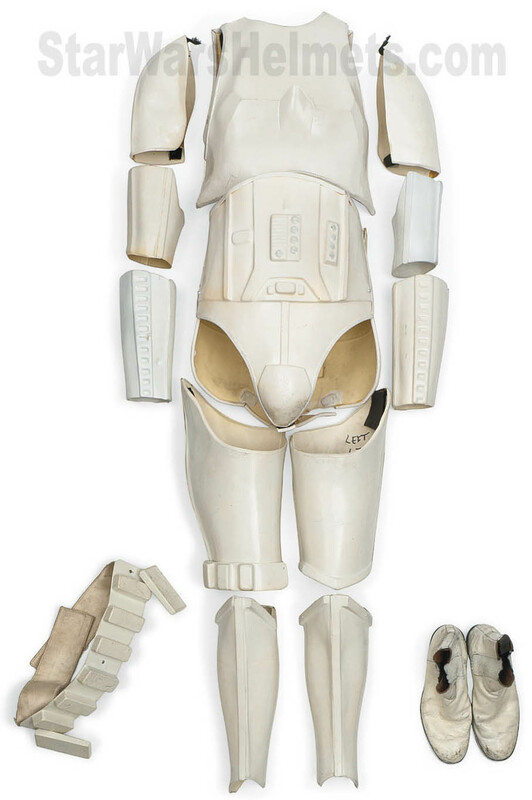 We KNOW John Mollo's team vac-formed additional parts (since they didn't have enough sets of armour to finish production), and we can be pretty sure that this is the suit seen with Mark Hamill at the ESB Premiere a few months later. What we cant say is whether this armour is actually screen-used since we cant tell from the few shots when all 10 or so Troopers were needed - even looking at the Blu-Ray release. If anyone out there has access to the Lucasfilm archive (or Gary Kurtz's negatives) and know of any better reference material then please let us know! 30 years...since it was on screen and always someting new. Cool pictures and thanks for posting those. Enjoyed the write-up too. Thank you Jez your a champ. Are you able to show more pics of the kids dressing up in the suits. I'm really interested in seeing that helmet. Oh, I forgot to ask Jez - Is this suit dispalyed on view before the bidding starts? Just thinking of maybe going down to see it if it is. Yes I understand there is a public viewing day where you can take as long as you like to check it out - in the past people have taken photos and everything so I dont think there's a issue there. The date should be o the Christies site. Thank's for sharing, realy nice shots. Jez, you are one of the leaders when it comes to trooper props. Thanks for the pics and review. I'd bet that we'll see a lot of SW stuff come up for auction in the near future after a result like that. Probably a mix of authentic and dodgy items too... "we must be cautious"